The former Indian skipper, Mahendra Singh Dhoni is arguably one of the most successful players in the game of cricket. He came into limelight when he made his international debut with a long hair in 2004. Under his captaincy, the Indian team lifted the inaugural T20I World Cup in 2007. He also led the Indian team to clinch the 2011 World Cup and the 2013 Champions Trophy. Dhoni announced his retirement from Test cricket in 2014 when no one expected. In January 2017, he resigned his captaincy and is currently playing under the leadership of Virat Kohli. He is likely to act as a wicket-keeper batsman during the upcoming World Cup. 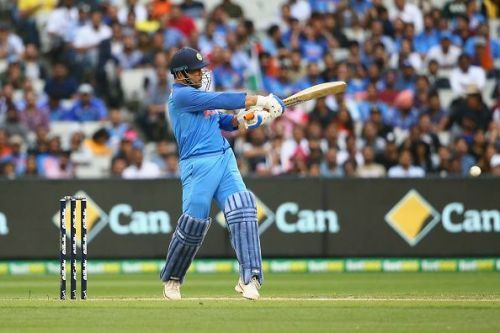 He will cross 38 by the end of World Cup tournament that will be his last for his country though he is one of the fittest players in the current Indian team. It won't be a surprise if he bid adieu to cricket at the end of the tournament.